Lise Pape is the Founder of Walk With Path and in charge of business development, strategy and partnership. 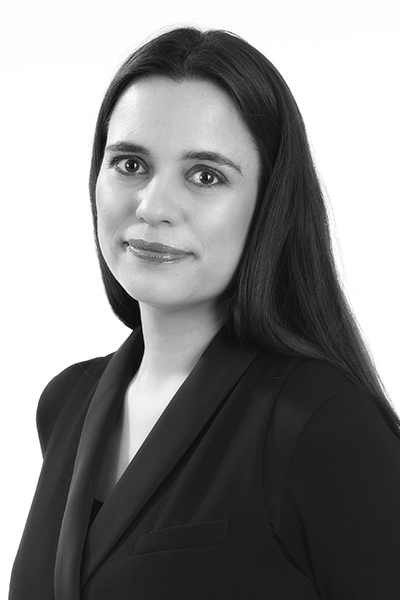 Lise holds a BSc in Human Biology from King’s College London and a double masters MA/MSc in Innovation Design Engineering from Imperial College London and the Royal College of Art. In addition, Lise has worked in finance for J.P. Morgan, where she held roles in Product Management, Network Management, and was responsible for client and stakeholder relationships internally and externally. She has also worked in advertising for AOL's Advertising.com, where she was a Delivery Manager responsible for the Nordic region. Additionally, Lise has worked as Investment Manager at the Ministry of Foreign Affairs of Denmark at the Royal Danish Embassy in London, where she was responsible for job creation into Denmark within life sciences and clean technologies. Lise founded Walk With Path in 2014, based on her developments during Innovation Design Engineering, and her personal experience with Parkinson’s suffered by her father. The company launched its first product in 2017 - Path Finder, a visual cueing shoe attachment to help those with Parkinson's. The second product, a haptic feedback insole to improve balance; Path Feel, is in development. Walk With Path is based in Somerset House, London. What is the idea behind Walk With Path and how did you come up with it? Walk With Path (WWP) is based on user centred design processes. I started out by trying to understand the daily life issues of living with Parkinson's disease or multiple sclerosis. I was interested in both diseases, as they affect people at different stages of life, and hence different problems and challenge arise. I was interested in the topic as my father has Parkinson's. I started working on WWP in 2014, when I studied Innovation Design Engineering at the Royal College of Art and Imperial College London. My first team member joined later in 2014, and we raised our first investment in 2016. We have two products in development, that we started running concurrently. I think this probably slowed us down a bit, until we decided to focus on one at a time. It took about 4 years to get to this place, since the original idea. There are many. As you move and develop, new challenges arise. I think a key challenge that keeps coming up is related to funding. It remains difficult. I think health tech also presents various other challenges. A lot of people are not necessarily aware of the issues we address, or don't feel capable of evaluating our technology, and hence this makes it harder to engage. The biggest achievement was the launch of our first product in 2017. Being able to provide a product to people, and for them to tell you how it has improved their lives, is very rewarding. That is what it's all about for us. I am often asked about the challenge of being a female entrepreneur. It is very hard to evaluate as I cannot compare to being a guy doing what I do. However, most funder appear to be male, and I think that can be a limitation. It is tempting to invest in someone that you identify with, and that you can see yourself in. Hence, perhaps it is more likely for a male to choose and male and a female to choose a female. There are just much fewer female investors. At the moment, we are working on expanding the market for Path Finder, and on developing our next product, Path Feel. Path Finder is a shoe attachment that provides visual cues to improve walking for people with Parkinson's. It has been clinically validated to reduce a specific symptom of the disease, where someone feels stuck and glued to the floor, by over 50%. Path Feel is an insole that provides vibrational feedback to improve balance across a broader population, such as diabetics and elderly in general. We aim to launch it next year. Yes, I think it's important for females to join together to 1) show other females that tech is not only for guys, and 2) motivate and inspire each other. I also think it's important to do your best to be a role model for other younger females, who may want to take an entrepreneurial path. I think it's important to realise that it is hard and that it will remain hard. It is not an easy journey and therefore it is absolutely essential to be passionate about what you do. I think that the wearable industry will keep growing and that devices will become more and more connected and integrated with each other. For health tech, I believe that active wearables can play an important role. Our focus is on the active, or therapeutic part, being the main benefit for the end user. As such, the data and associated analysis is an added benefit.